Chronic wounds are wounds that do not heal in an orderly and timely manner. People who have these wounds are prone to severe health risks which may result to life-threatening infections and health problems. St. Luke’s Medical Center established its Complex Wound Care Center where patients with slow-healing wounds receive personalized check-ups, screenings, and assessments to determine the appropriate type of treatment they need. 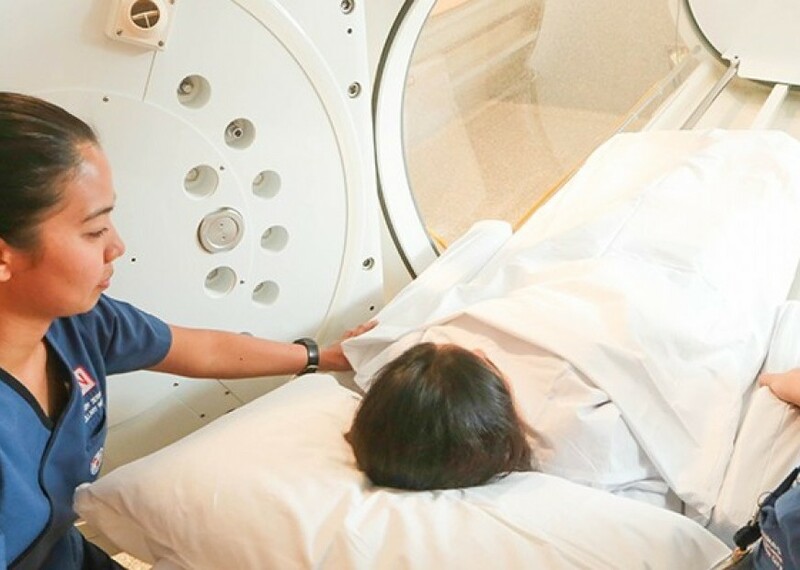 The Center also offers Hyperbaric Oxygen Therapy (HBOT) – a medical treatment used for chronic wounds. HBOT facilitates the breathing of 100 percent oxygen given at a higher atmospheric pressure allowing the blood cells to carry up to more oxygen throughout the body compared to breathing normal air (which contains only about 21 percent oxygen). During the treatment, the patient sits or lies down inside a special tube called Hyperbaric Monoplace Chamber. The pressure inside the chamber is increased two to three times more than that of a normal room’s pressure while the patient breathes 100 percent oxygen. HBOT enhances antibiotic effectiveness, facilitates growth factor expression, and decreases edema (excess watery fluid) and inflammation. The therapy may also be used in combination with other medical treatments, medications and lifestyle changes to achieve the best results. For more information about HBOT, you may contact the Complex Wound Care Center at (632) 7230101/7230301 ext. 4186 for St. Luke’s – Quezon City or (632) 7897700 ext. 2107 for St. Luke’s – Global City.